Glaurung - Free iPhone Chess App! 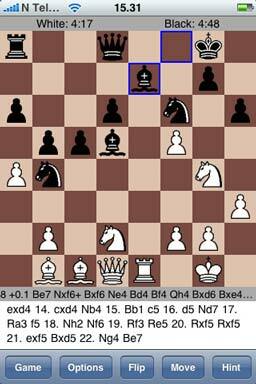 One of the best free iPhone Chess applications Glaurung allows you to you play against very strong open source chess engine on your iPhone. Glaurung iPhone chess application works properly on all iPhone devices. Please read this how-to about iPhone applications installation.